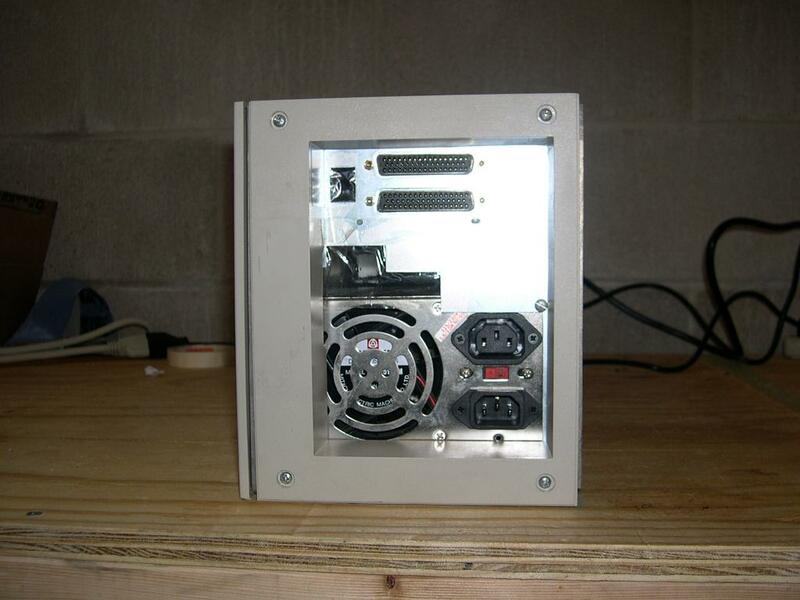 Front, Rear, mainboard, SCSI & memory board, memory board, and front and rear of the external disk cabinet. The Sun 3/110 was introduced in August of 1986 as a colour workstation. The machine could either be desktop, or deskside with a pair of clip on feet. 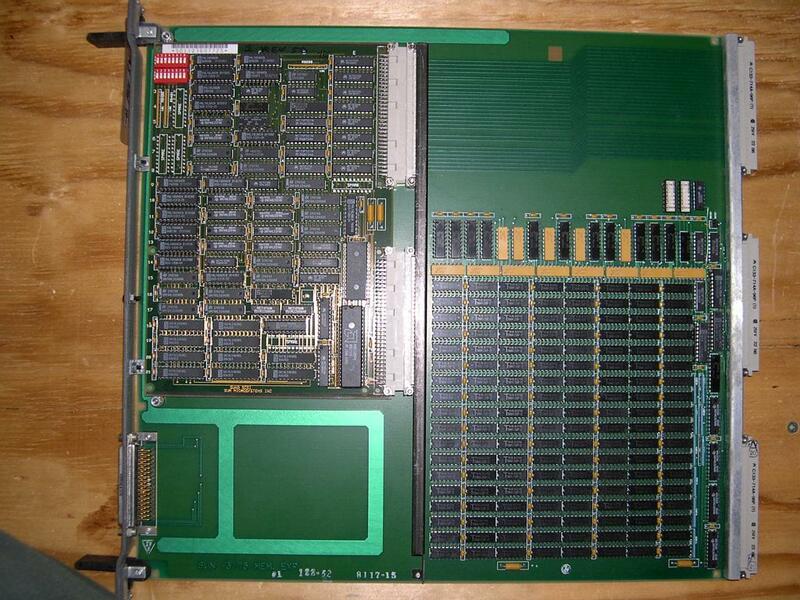 With a three slot VME bus, the 3/110 was relatively expandable, up to 12MB of memory (4MB on board, and up to two additional 4MB memory boards) on a 16.67mHz 68020. The 3/110 uses a cgfour framebuffer, which has 8-bit colour. 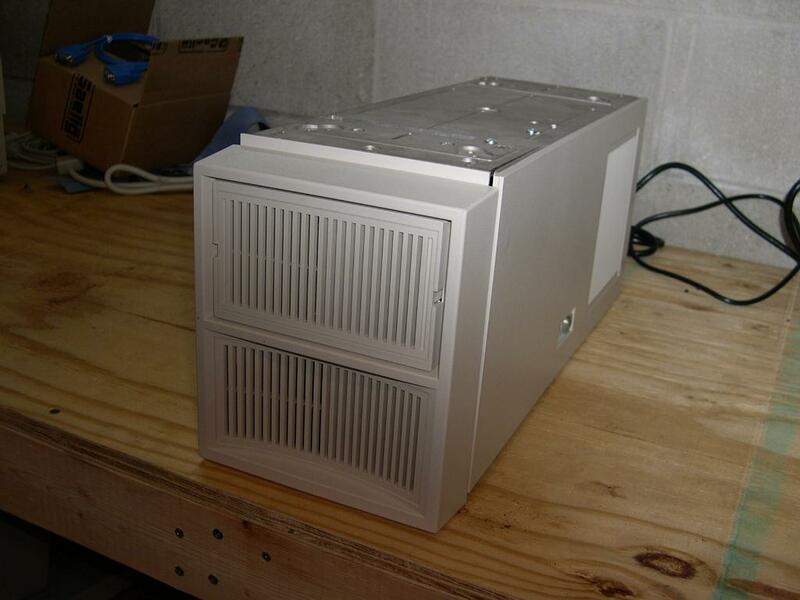 My 3/110 boots off an external disk cabinet, which has a single full-height SCSI disk in it. 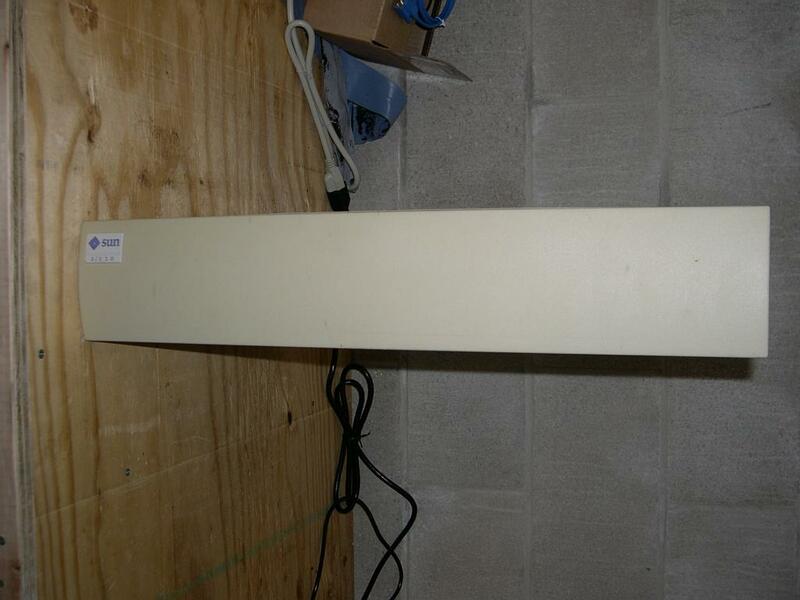 This cabinet appears to be an expansion cabinet from a Sun 386i, but I'm unsure if it was used in any other forms. The machine boots unto SunOS without any complaints, and I've gotten it onto the network with minimal fuss. 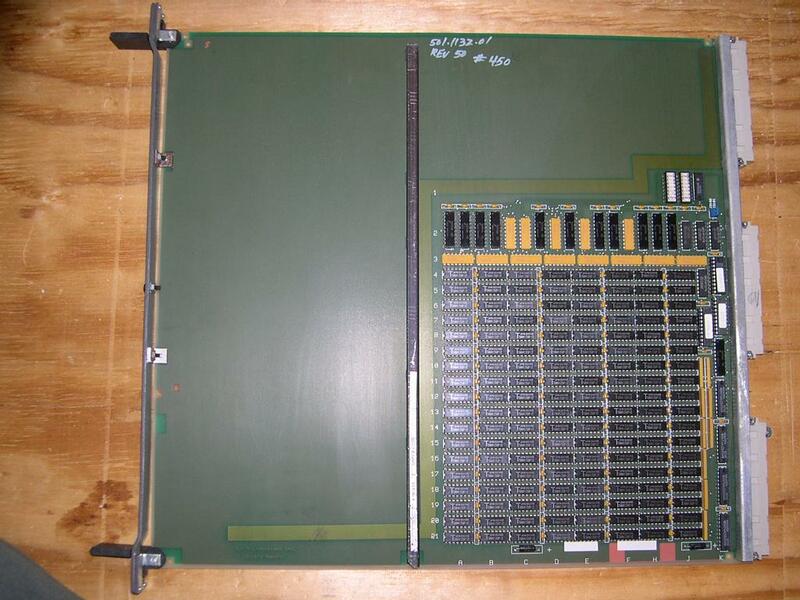 I find the board layout of the memory and SCSI/memory boards quite interesting - one half memory, and the other half either blank or a SCSI controller. 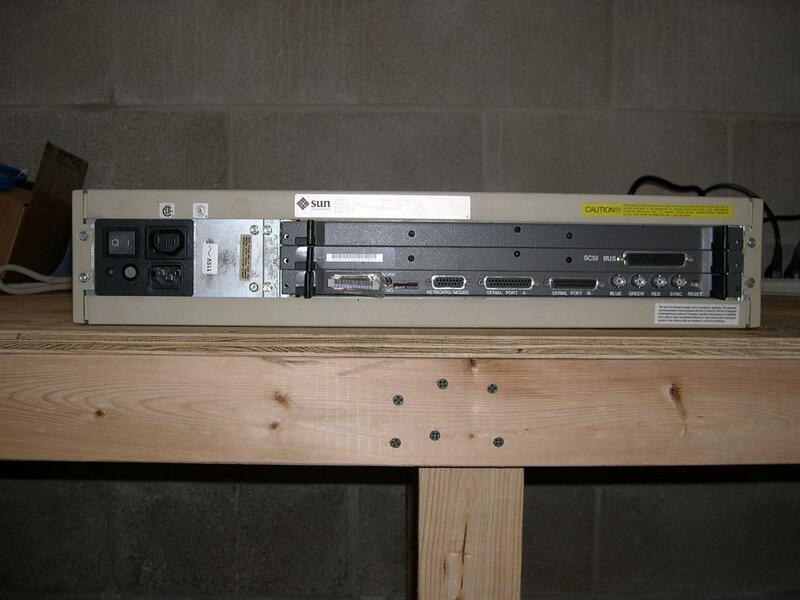 Note the space by the SCSI controller section to the right of the DE50 header - sure looks like you could mount a low-profile 3.5" SCSI disk there and wire it off the DE50 lines, doesn't it? A hack job, but resultant in an internal disk. 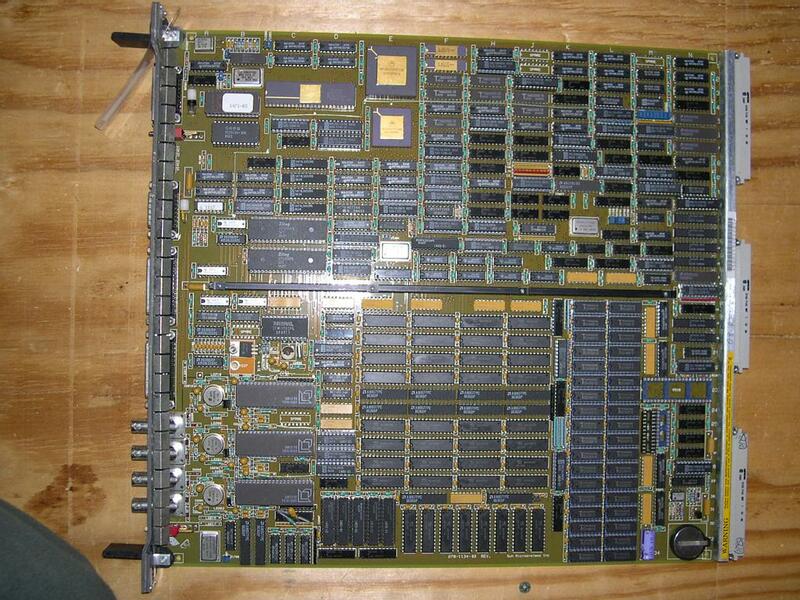 Of course, the heat generated would probably unseat the numerous chips in carriers. I'm not planning on doing this - but you sure could.